Pollard’s Chicken & Catering can meet your culinary needs for any event. First, they serve unbeatably fresh fruit and cheese dishes. This will keep your guests satisfied until it is time for dinner. For dinner, you and your guests will enjoy Southern BBQ style food and friendly Southern service. Whether you want fried chicken with all of the fixings or want to serve a lighter meal, this Virginia Beach catering service has all of the buffet and party tray options and at an affordable price. Baker’s Crust is a local caterer that has gained great success by offering event specific and personal catering. This company realizes that the same style of cooking and food does not work for every event. The same food you serve at a corporate event is not suited to a traditional wedding reception. For a wedding, they have a variety of options for couples to choose from. They have crowd-pleasing dinners and hearty dishes that will ensure everyone is full and ready to party at the end of the night. 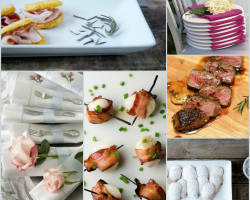 Catering Concepts is all about creating culinary experiences for their clients and party guests. The presentation of the food is the first thing you will notice when these caterers are hired for your event. You will feel like you are at the king’s table when they serve you or when you see the large buffet spread. The taste of the food is unbeatable. The flavors explode in your mouth leaving you asking why you haven’t hired this team for every event. Finally, you will notice the impeccable service provided by the staff. 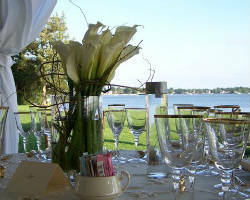 Finding a wedding catering company in Virginia Beach to suit your event can be difficult. Many caterers believe that they can use the same formula to serve different events. Your wedding is a unique event and should be treated as such by every vendor, especially the catering. That is why Sweetwater Cuisine specializes in serving a personalized menu that suits your event and includes your favorites. 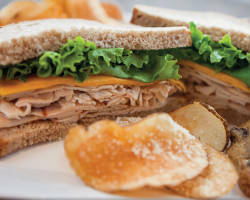 Whether you want them to create a light lunch menu or would like a full dinner service, they can accommodate anything. Chef By Design Catering is known for their innovation in the kitchen. Whether you want something unique or classic, it will be sure to have an amazing modern twist when served by these professionals. Catering in Virginia Beach can leave you overwhelmed by the choice that is offered, but there are very few that provide the experience and creativity offered by this company. These top chefs work to provide a menu that not only suits your tastes but also your entire event. 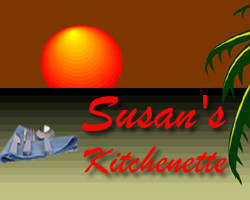 Susan’s Kitchenette is a family owned restaurant that has grown to become one of the most popular local catering companies. This restaurant and catering service specializes in serving authentic Filipino food. Their business has a reputation for being professional and for providing the very best dishes possible that are true to the Filipino tradition. Forget the boring and tired Italian catering; this food is not only delicious but relatively cheap as well. Enjoy their dishes paired with lovely unbeatable service. 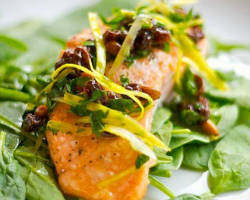 Catherine’s Catering is the life and work of French-trained chef Catherine. She and her husband moved to Virginia to be closer to family and pursue a dream of catering. This dream has come to life at the countless corporate lunches, cocktail parties and weddings they have successfully catered since establishing the business. This chef handcrafts each and every aspect of the meal she is creating. 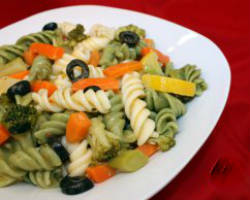 By using the best ingredients and her experience, she is able to create dishes of superior quality. 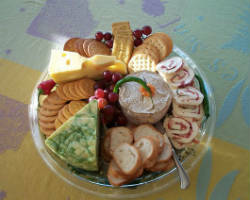 Custom Cuisine is all about providing you with your favorite foods for whatever event you are hosting. 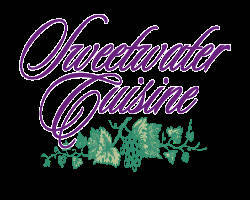 They can create a beautiful crawfish buffet or serve your guests authentic Mexican food. Whatever you want, they will make it happen. They have sample menus for you to choose from if you simply want food that will please everyone. This caterer not only provides delicious food, but they also bring the necessary dining ware too so you have one less thing to worry about.